In Re:Freshers 2019 we worked alongside the Experience Society to hire out Anglia Go Karting for an hour and a half of Go Karting fun. We had students from different ages and courses attend this event and it was a great example of how we're open to many other activites than just your typical sports! Another great WCW session was our Boxcore event hosted by our very own Sport's Ambassador Bash. Focusing on technique and fitness, this session allowed our students to feel strong and give the students an opportunty to meet new people. 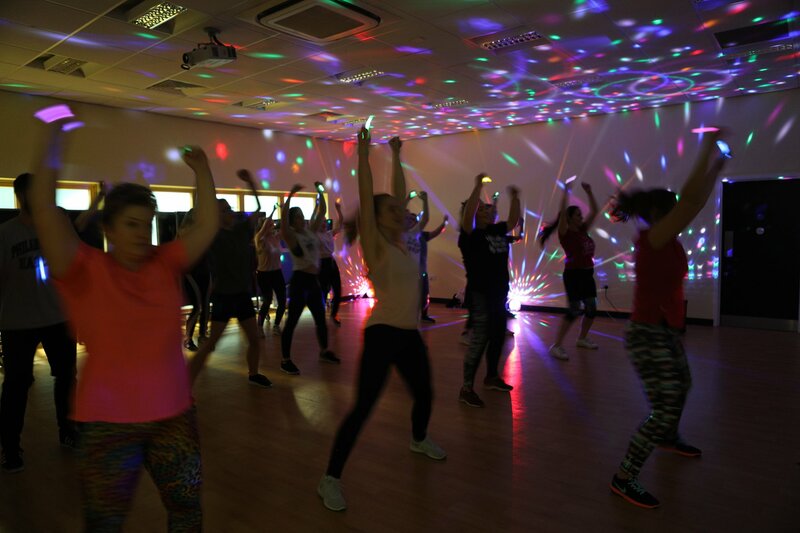 As a previously popular Most Active Student session, we hosted a clubbercise session at Goals which was a huge success. The glow sticks and good music meant our guests could enjoy the exercise and mingle with other people too. Through student feedback we hosted a MAS classic Volleyball session. Volleyball was a great opprotunity to get involved in a team game and try something new and out of the ordinary.